1. You have paid for the service, you have a valid subscription. Now anyone can see your Morinda landing page. There will be of course prospects who will sign up through your landing page. 2. If the prospects signed up via your landing page, they will receive a confirmation. 3. We recommend you frequently Log in to your back office! Click on the "My Profile" / "Signed up prospects" button. 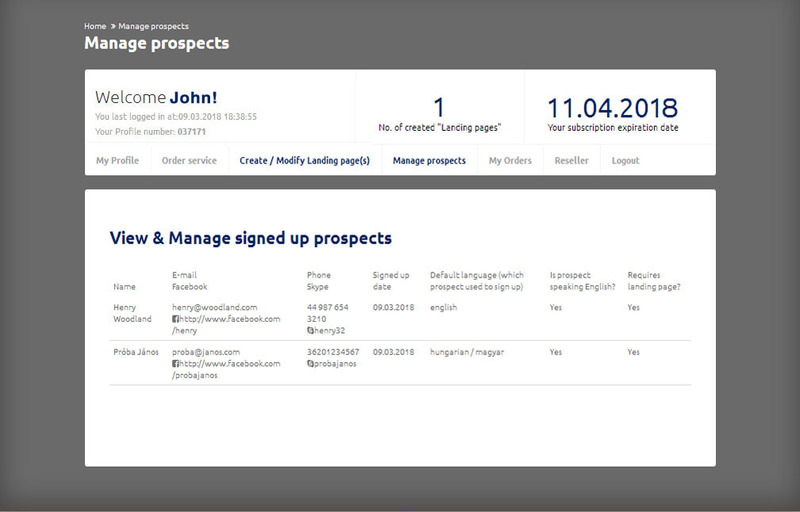 You can see the existing signed up prospects by clicking on the "people" icon! 4. You can see the people who signed up each landing page separately! You can select which of the signed up prospects are further interested in this opportunity.